Studio portrait of two soldiers. One man is identified as 4419 Private (Pte) John Archer Challis, Q Company, 12th Depot Battalion, of Geelong, Vic. 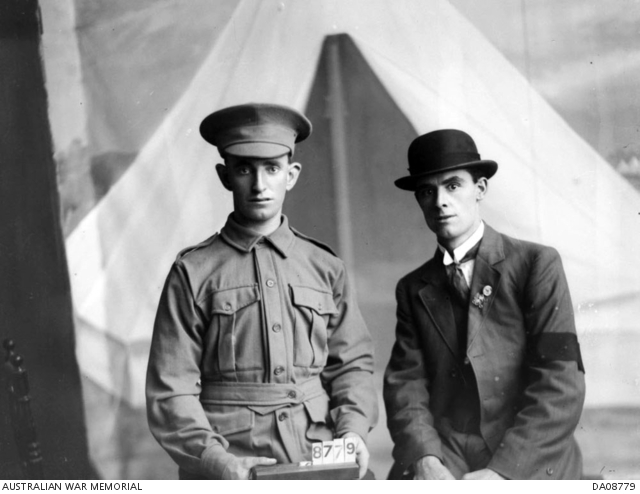 Pte Challis enlisted on 20 July 1915 and was discharged in September 1915 before going overseas.